Most Indians take immense pride in our cricketing heritage. Now once again the time has come to notch up that pride a little, turn the patriotism on and cheer our team; for the ICC Cricket World Cup 2011 has arrived. Adding to it, we are hosting the event this time along with Bangladesh and Sri Lanka. Cricket is more than a game in this country. It is a religion and a state of existence. The expectations from the team are extra-ordinarily high this time. The prime reason is India’s unbeatable and the invincible record in the cricketing arena over the last 3 years. This makes Team India one of the clear favorites for the trophy. A host of other factors like home advantage, sub-continental playing conditions and a perfect team balance add to our advantage. Well this entire is one side of the coin; the other side of the coin is Sachin Tendulkar. Talking about Indian Cricket without Sachin Tendulkar is like talking about Ramayana without Rama. Sachin Tendulkar has single handedly inspired the imagination of whole generation of this cricket crazy nation. If we go back in time, India’s association with the Cricket World Cup has always been special. India had a lukewarm or rather a dismal outing in both 1975 and 1979 World Cups when all the Indian cricketing legends like Prasanna, Bedi, Venkatraghavan, Gavaskar sweated for the nation’s cricketing glory. Then came the golden moments in 1983 when we beat defending champions West Indies (they were on a hat-trick) as underdogs and emerged Champions. This Cup produced some great cricketing stars like Kapil Dev, Mohinder Amarnath and Krishnamachari Srikanth. The tournament produced some unforgettable performances from our team. Kapil Dev’s 175 against Zimbabwe was an example of batting brilliance. Complementing it was Mohinder Amaranth’s all round efforts in the semi-finals and finals. Then came the magnum opus final where we shocked the cricketing greats. 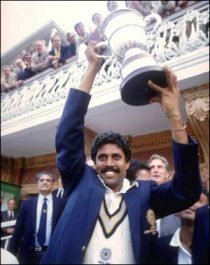 (One should have captured Clive Lloyd’s and Vivian Richard’s faces).The picture of Kapil Dev lifting the Cup in Lords is still fresh in the memories of all who were alive to see it. Then came the 1987 World Cup in which we hosted the tournament for the first time. This tournament also saw an impeccable performance from India and it seemed unbeatable. But time played its part when we lost to England in the semi-finals in a match which is said to be cricket’s greatest upsets. This tournament also saw Australia rise as a cricketing superpower. The 1992 World Cup was not worth remembering. But it gave the country the greatest cricket player the game has ever seen – SACHIN RAMESH TENDULKAR. The 1996 World Cup which followed can be thought of as a replay of 1987. India hosted the tournament. India lost in the semi-finals to Sri Lanka in a dramatic fashion as the Eden Garden crowd turned violent. Sachin Tendulkar won the Player of the Tournament Award as he was the highest run getter. The 1999 World Cup was just a decent outing with India losing out in the SUPER 6 ROUND. Then came the 2003 World Cup. The memories of this world cup bring with them a mixture of emotion, pride, happiness, pain etc. The team was at its best and walked its way into the finals. This stint was a perfect example of true leadership in Sourav Ganguly’s captaincy and collective team effort. Amidst high expectations, India lost to Australia in the final and ended as Runner Up. Again the Master Blaster was the hero of the story. He bagged the Player of the Tournament Award as the highest run getter. But all this is only from a cricket critic’s point of view. From a cricket buff’s point of view, the story is entirely different. When we speak about the World Cup what we speak about is statistics, rules, financial endorsements, players, venues and schedules. But we neglect one very big thing. It is the people’s emotions. Yes there are huge expectations on the team from the nation. It is the same story in every country but in India it is more. Somehow the relationship of the game with our country is a very interesting one. This game was introduced to us by the British and has turned into a national obsession. Somehow India fell in love with this game because we had about the same pace in life as the game had. And the game became our cute family sport and an inseparable part of Indian lifestyle. The business and betting which happen are just an icing on the cake. If we just take a deeper look at people’s lifestyle, the importance people give to cricket is more than any other thing. People bunk jobs, studies, businesses to watch a cricket match. People pray to God hoping it will improve the team’s performance. We give a great boost to the industries’ income by taking part in contests and post-match analysis shows. Other fields and industries also work with this passion of cricket in mind. For example the film industry will not release movies during cricket season or will make a cricket oriented movie. (Ex: Patiala House). Several brands like Pepsi, Idea, Boost, Sahara, Nike and many other companies will release products to promote the game and boost their businesses. 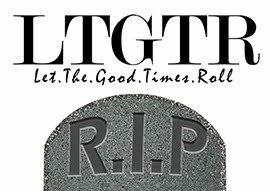 Well, all the analysis and talk aside, it’s time to have some serious fun. Make the most of the season and shop like mad. Throw all the statistics in the dustbin and enjoy the game like a true cricket buff. By the way here is a test to confirm whether you are a true cricket buff or not. If you jump from your seat and shout like insane when there is a boundary or a dismissal, you are a true cricket buff (:P) . If you squeeze your popcorn or there is a frown on your face when Sachin is dismissed you are a true cricket buff. But don’t forget to do one thing. Cheer for India in every way possible and wish for your her victory from the bottom of your heart. Just Say JAI HO TEAM INDIA! !